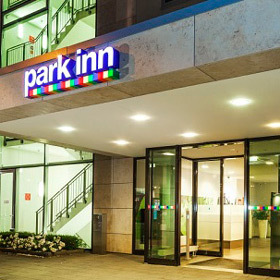 The Park Inn by Radisson Frankfurt Airport Hotel offers a modern and colorful place to stay. Unwind in one of our 209 guest rooms featuring free high-speed Wi-Fi, individual climate control and 32-inch LED smart televisions. 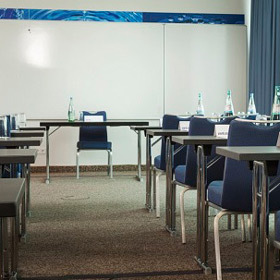 Our fitness center features indoor training facilities to help you stay in shape on your travels. Alternatively, you can take a refreshing walk or run through the nearby forest and park. 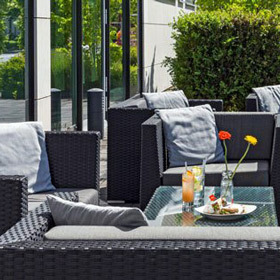 When you’re ready for something to eat, indulge in local and international favorites at the RBG Bar & Grill, which is open all day. •	The S-Bahn lines 8 and 9 stop at Frankfurt Airport.